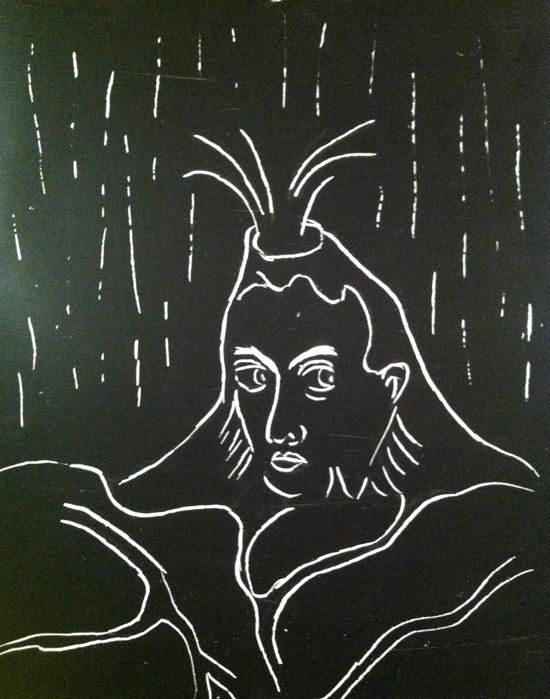 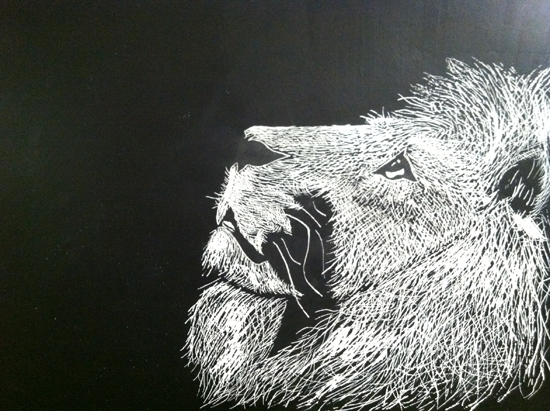 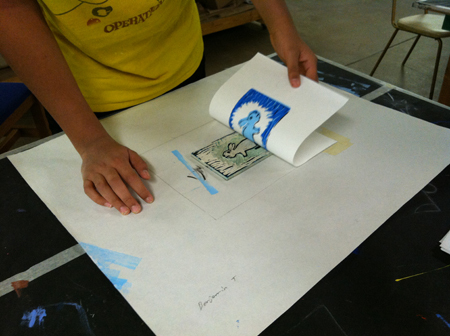 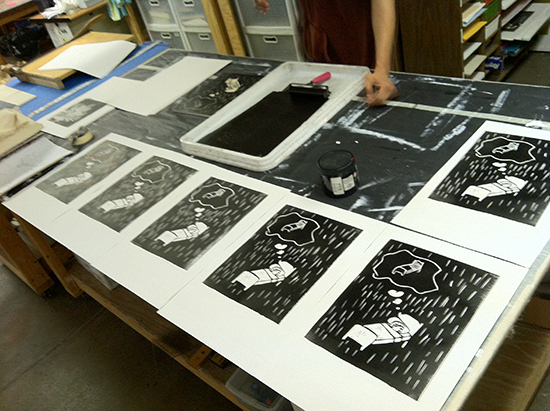 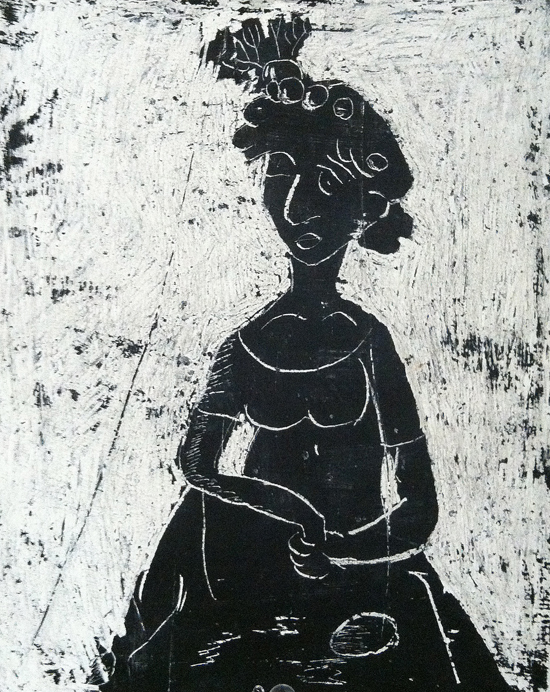 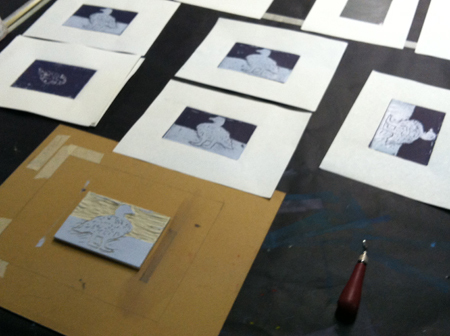 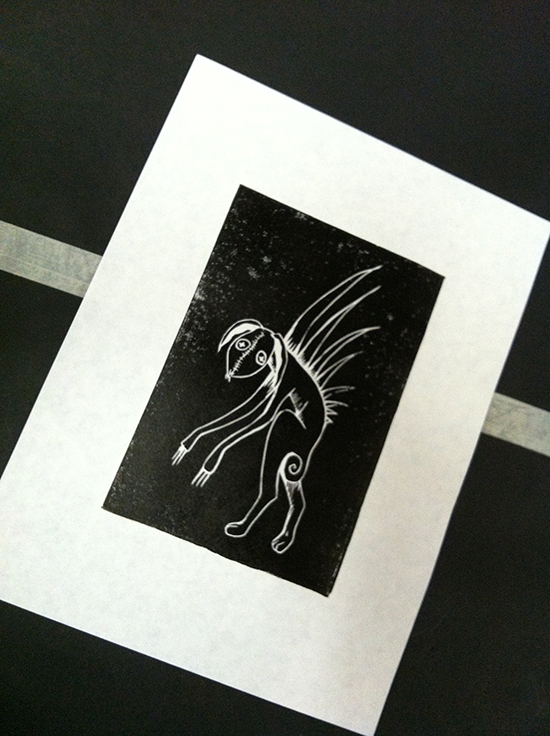 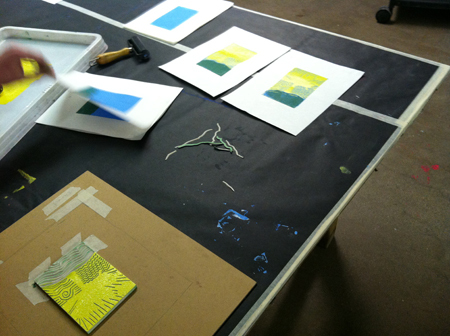 This course will cover the introduction and fundamentals of creating printmaking art. 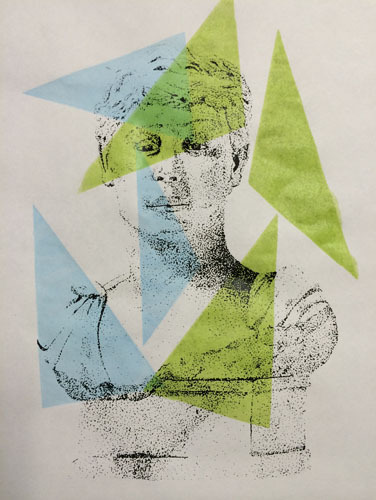 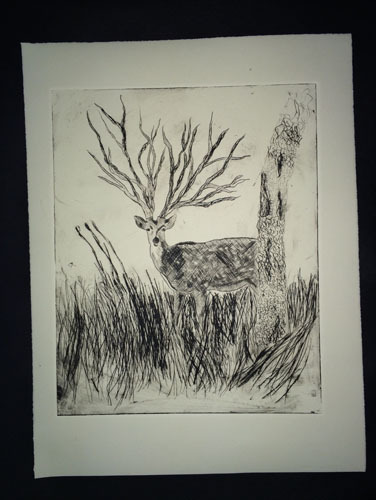 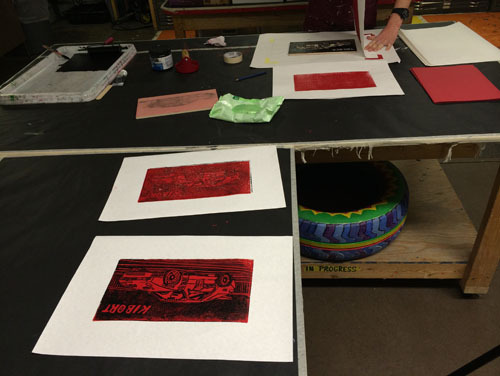 Upon completion of this course students should be able to apply their knowledge to 4 basic processes in printmaking: mono-printing, relief printing, collagraph-printing, and screen-printing. 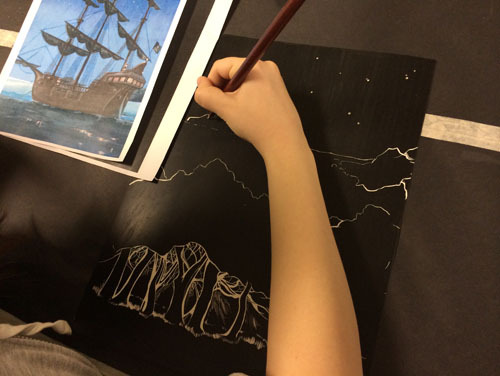 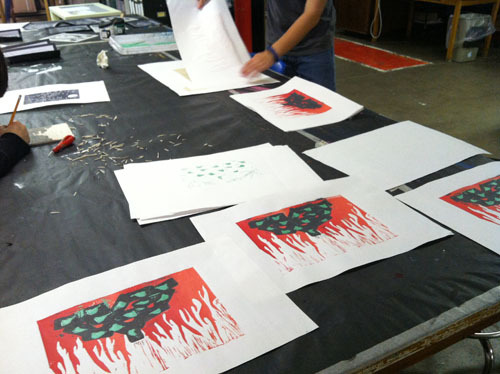 Within these 4 types of printmaking each student will learn how to apply design, typography, compositional elements, and concepts to the area of print editions. 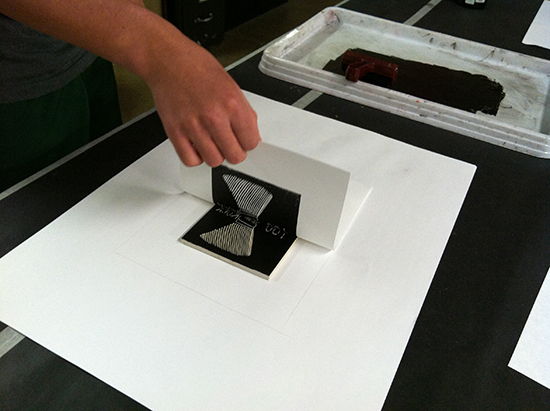 Three critical components will be applied to the 4 types of printmaking: art history, technical process, and art criticism. 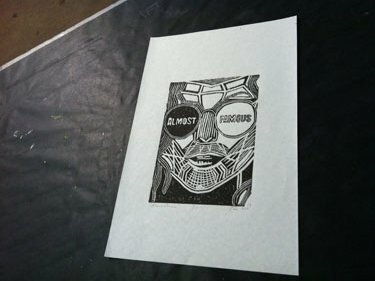 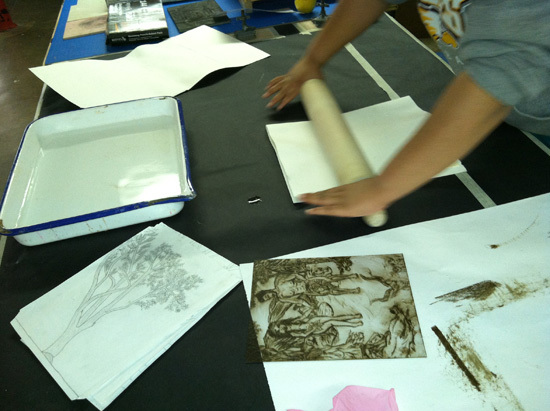 The history of printmaking will be discussed and viewed, technical processes will be shown through demonstration, and art criticism will be a conversation about each students work during the course of the year in group critiques. 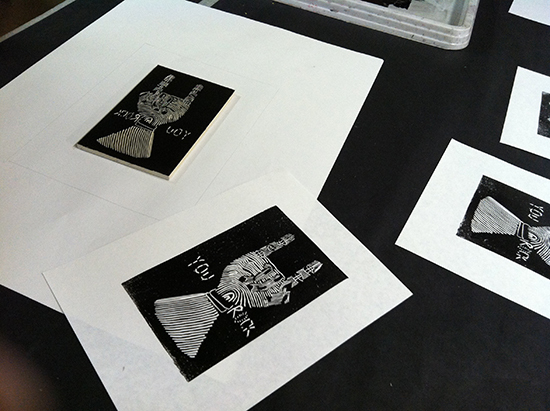 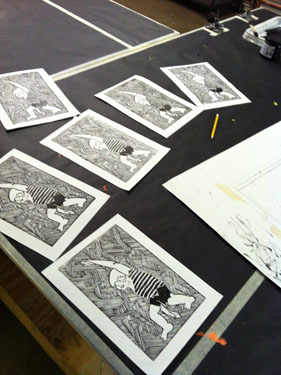 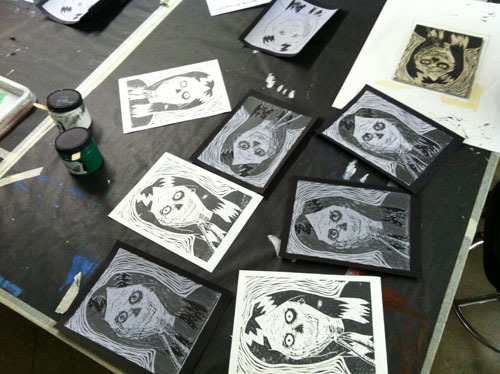 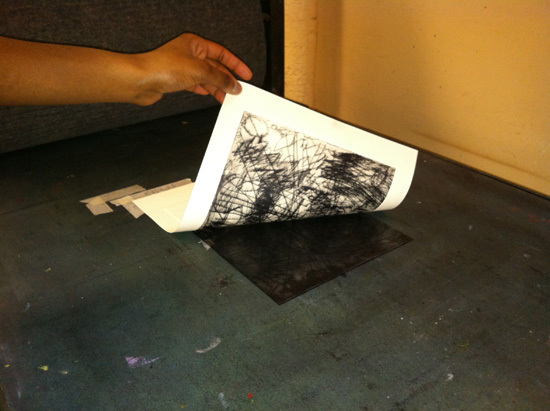 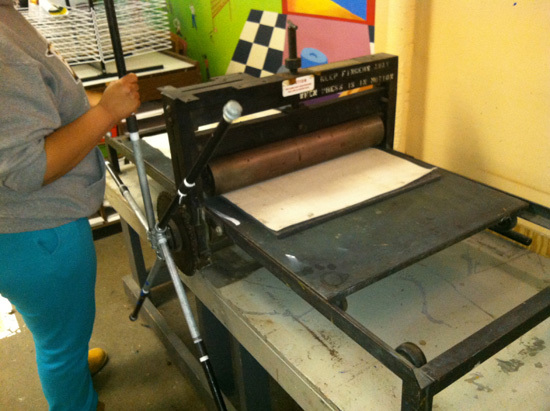 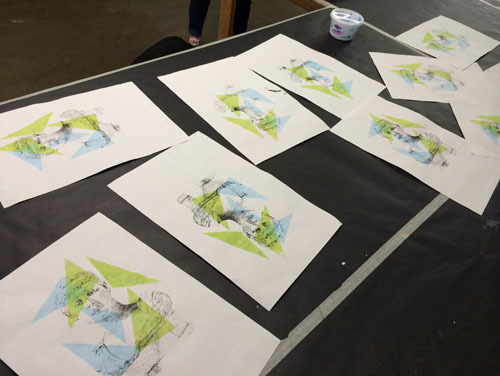 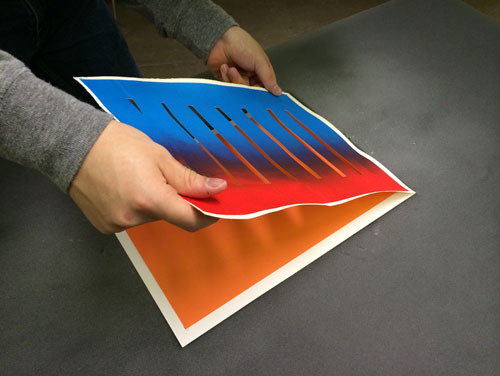 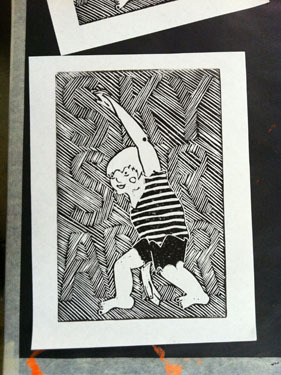 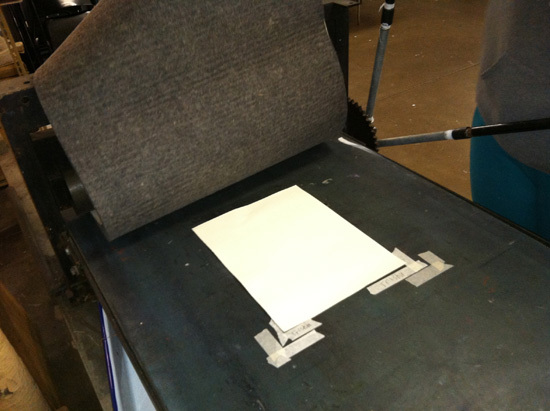 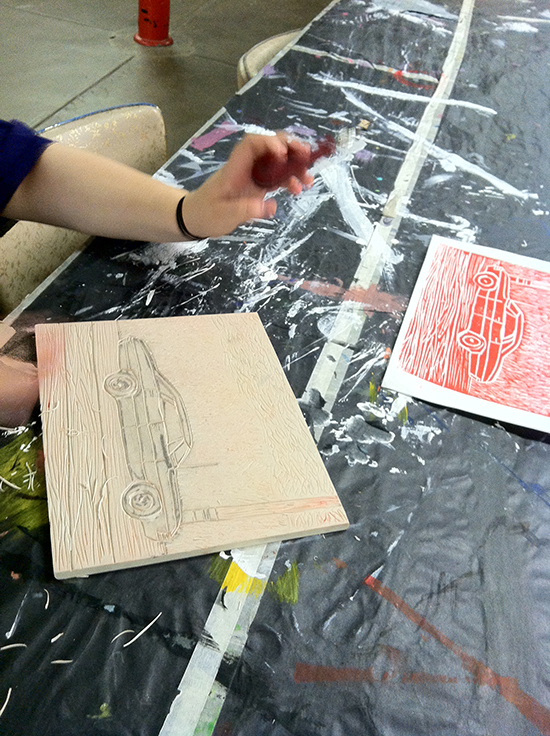 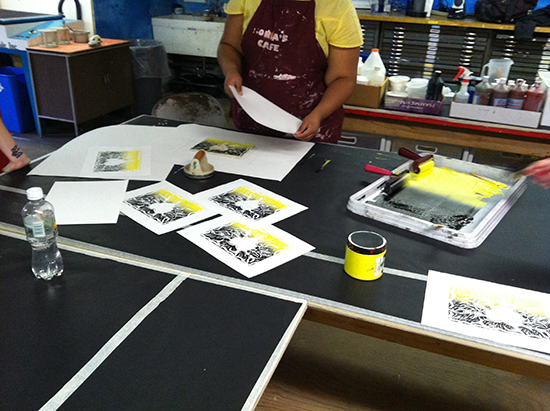 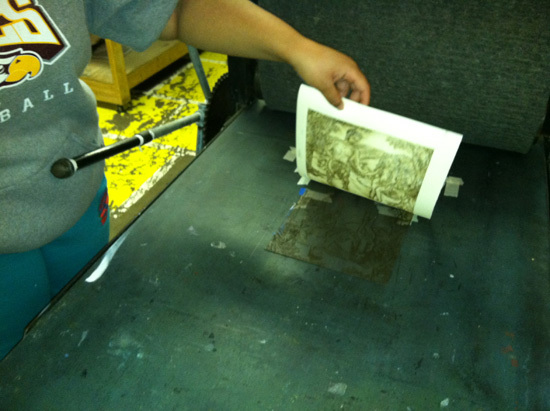 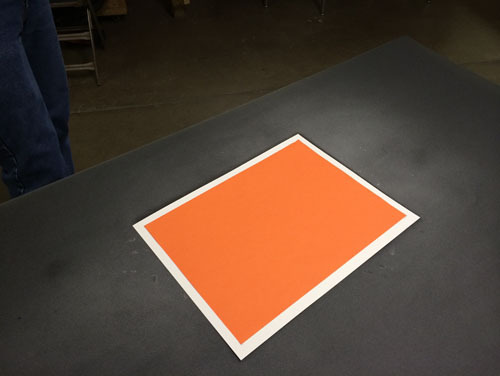 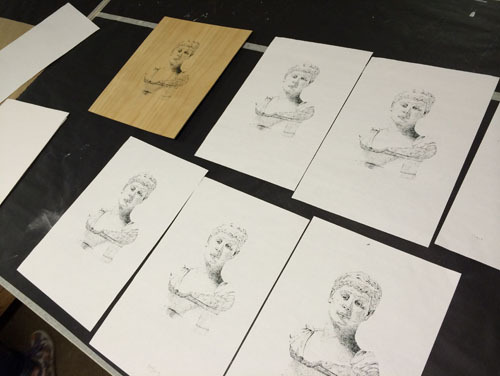 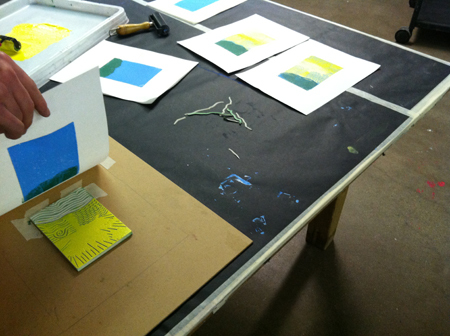 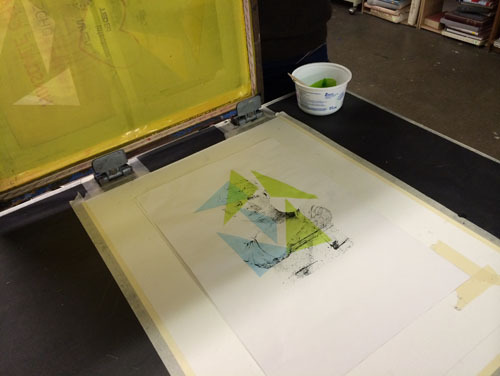 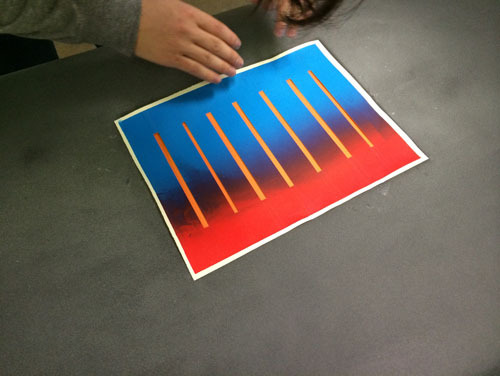 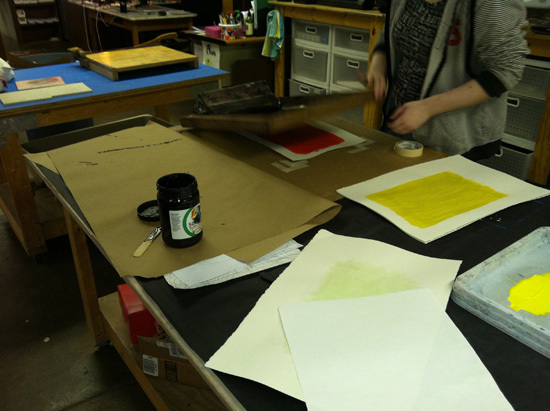 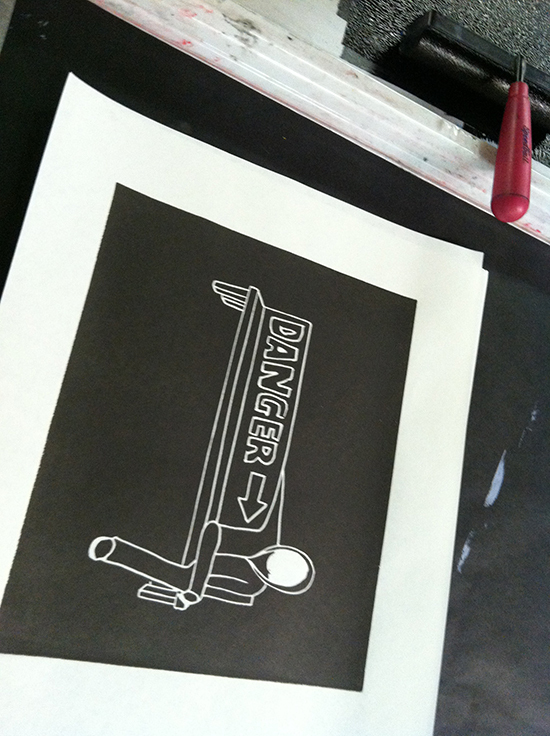 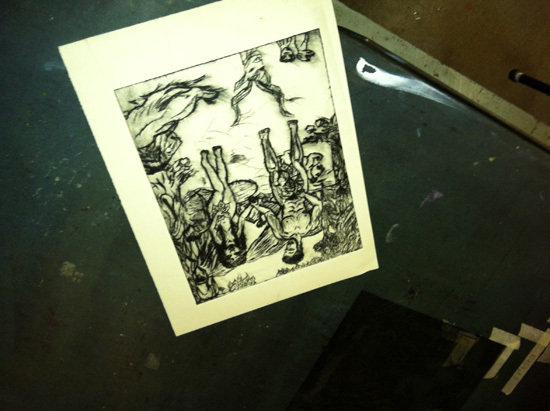 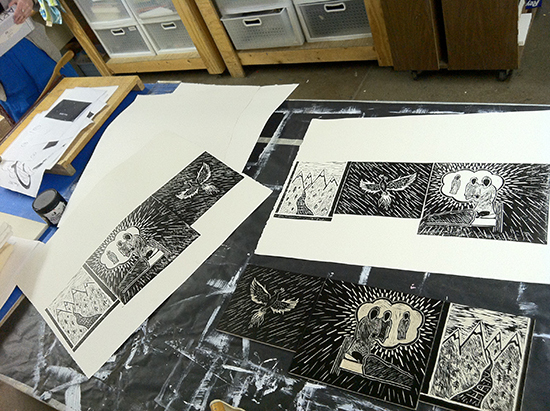 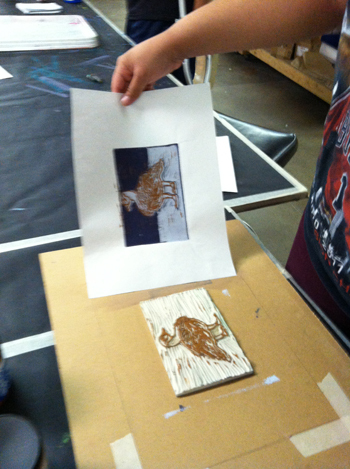 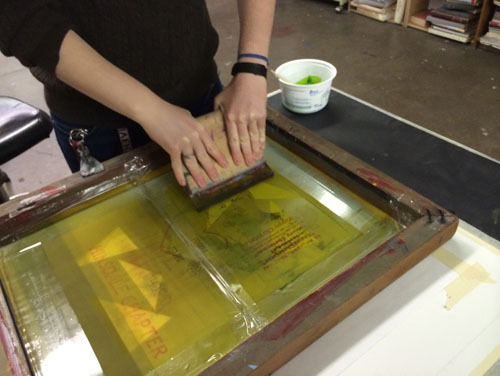 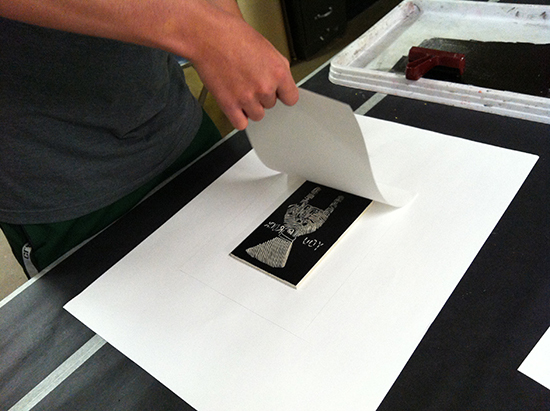 Students will produce a portfolio of prints demonstrating all 4 types of printmaking.